In her memoir, Digital Sisterhood, Leeke details her journey, sharing experiences and insights that helped her and her digital sisters use the Internet as a self-discovery tool and identifying leadership archetypes that shaped her role as a social media leader. Ananda Leeke is a lawyer turned “Jill of many trades.” She is an innerpreneur, author, artist, coach, and yoga teacher. She founded the Digital Sister Network and currently serves as a blogger ambassador for AARP, Macy’s Heart of Haiti campaign, and Maiden Nation. She lives in Washington, DC. Visit www.anandaleeke.com. 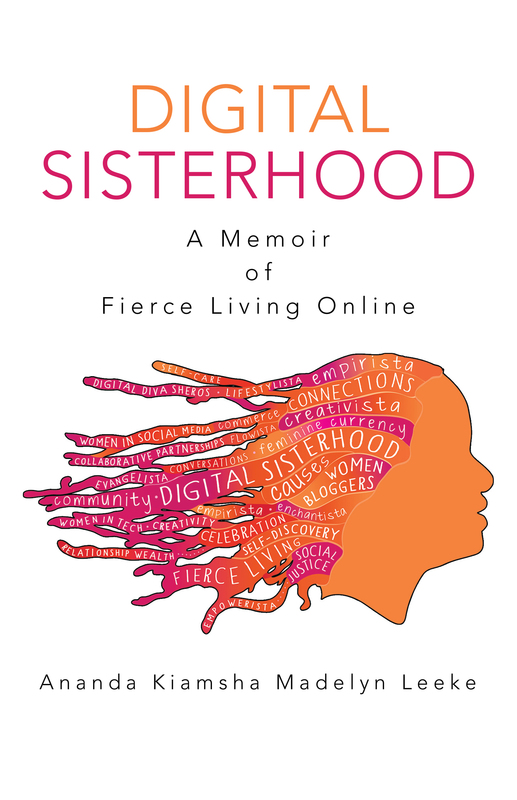 Buy Digital Sisterhood: A Memoir of Fierce Living Online for yourself and/or a family member or friend. Visit Amazon.com to make your purchase. The book is available for Kindle ($3.99) and as a paperback ($23.99) and hardback book ($33.99). After you buy the book on Amazon.com, write a short review explaining why you purchased it. Feel free to come back to Amazon.com and share feedback on what you liked about the book in a short review statement. Thank you! Tell 10 friends about the book in an email or a post on Facebook, Google+, Instagram, LinkedIn, Pinterest, and/or Twitter. Post a blog with an author interview of Ananda Leeke. Send her an email at kiamshaleeke@yahoo.com. She is happy to answer your questions! Learn more about and subscribe to the Digital Sisterhood Network. Join the Digital Sisterhood Network (DSN) Facebook community and get updates about DSN events, radio shows, and the book.